The last month of the year - December. 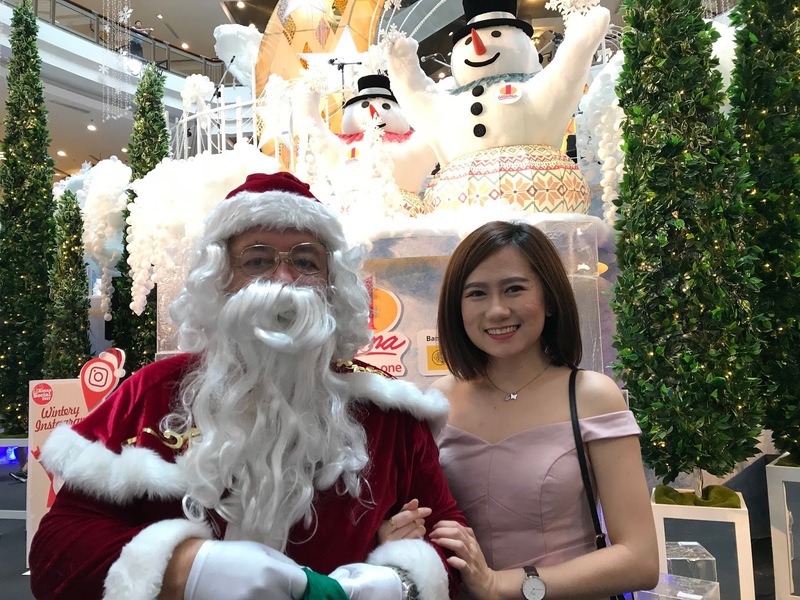 Everyone are getting excited to celebrate Christmas and welcome the New Year of 2018. 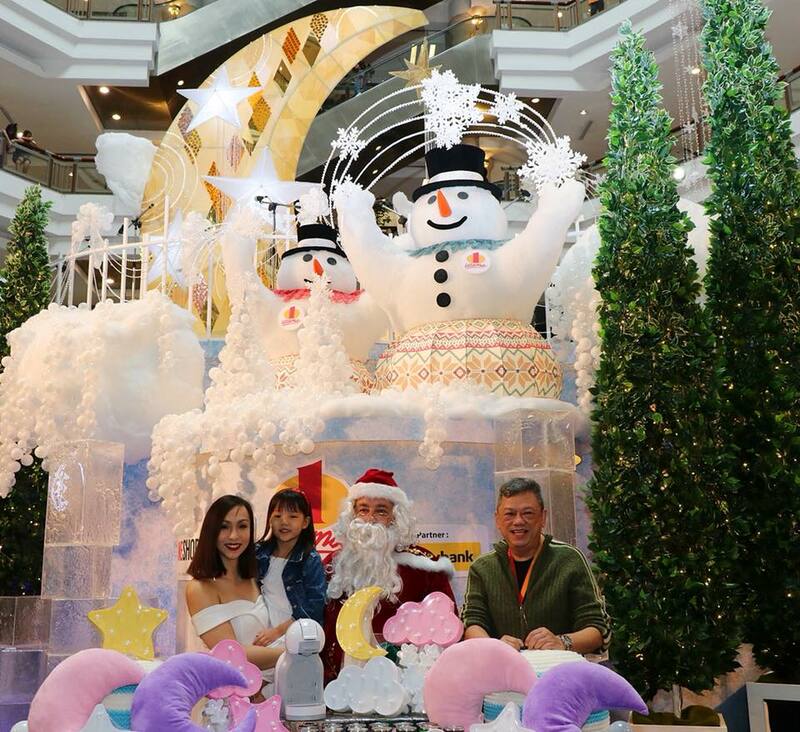 1Utama shopping mall welcome the patrons with a whimsical winter wonderland decorated with a joyous Christmas atmosphere. 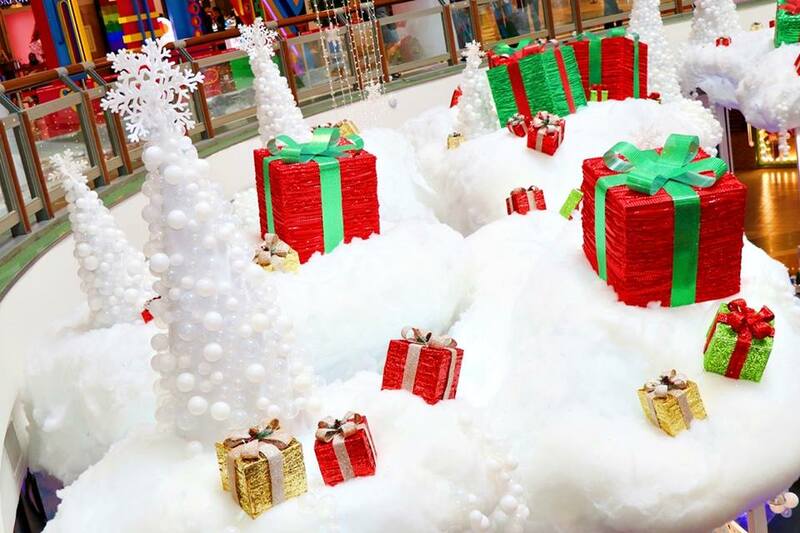 I love Christmas, can't wait to celebrate with my family and friends. 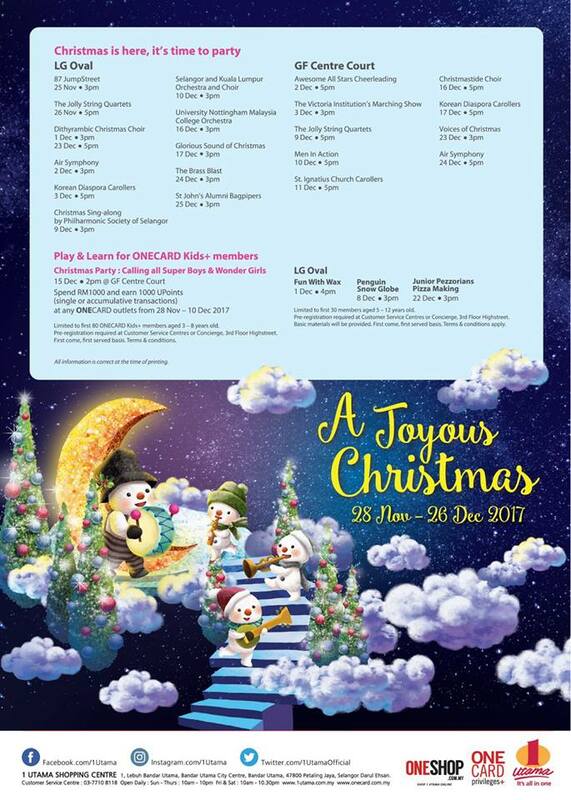 'A Joyous Christmas' musical performance and the theme for this year is Serenade Christmas, bringing a lot of snowing white Christmas route with white colors and big huge moon & star as its main theme. 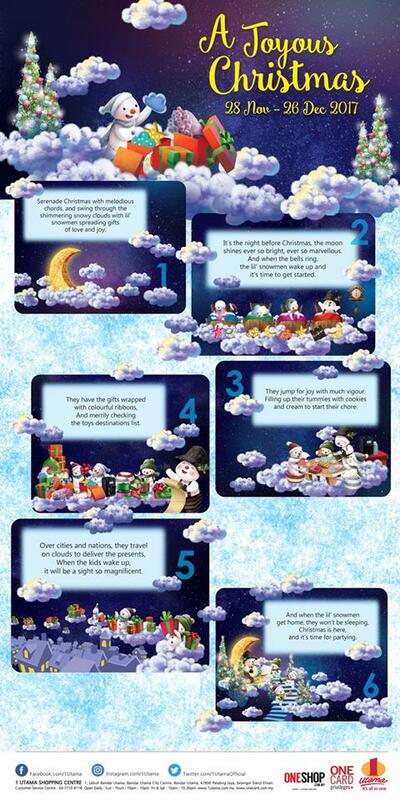 Let's read the well written story about Serenade Christmas here. 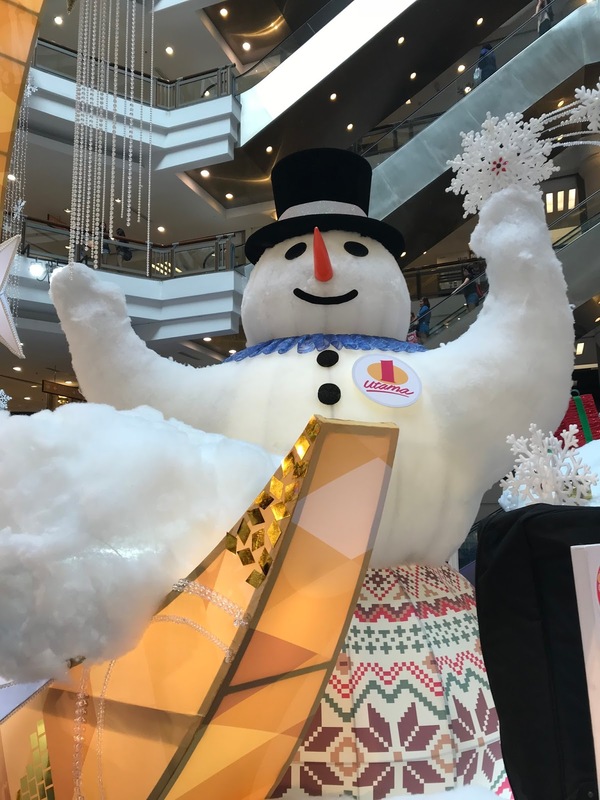 Serenade Christmas with melodious chords and swing through the shimmering snowy clouds with lil snowmen spreading gifts of love and joy! 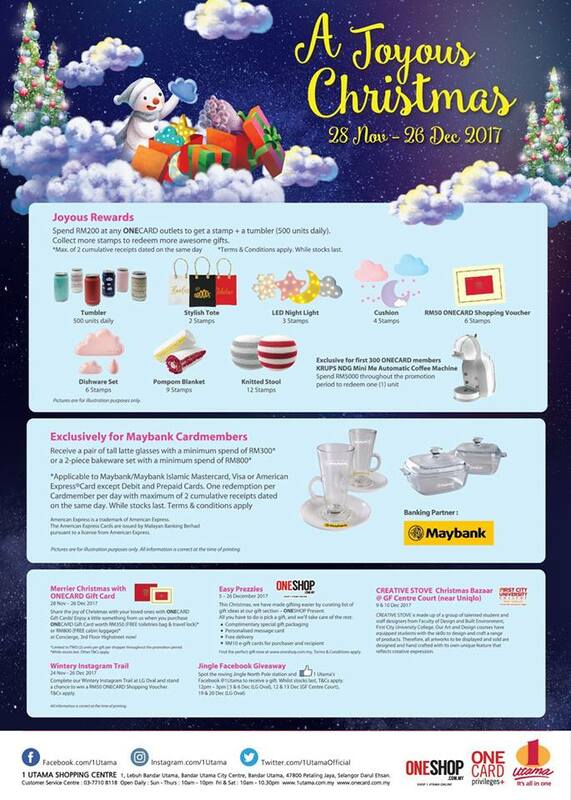 From 28 November 2017 to 26 December 2017 during the event, any ONECARD participating spend RM 200 at any ONECARD outlets to get a stamp + a tumbler (500 units daily). 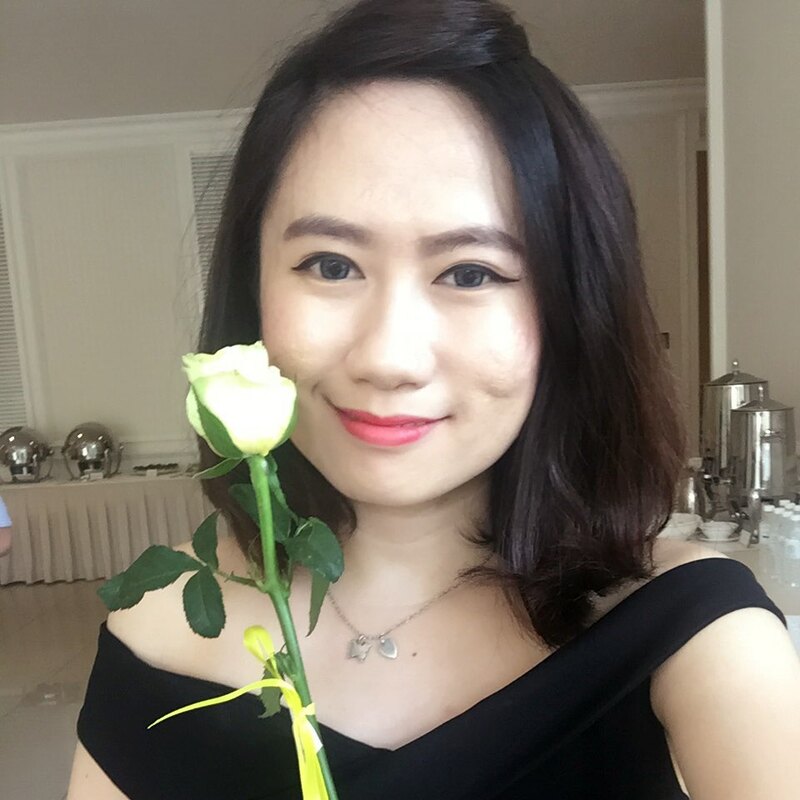 Collect more than stamps to redeem more awesome gifts! 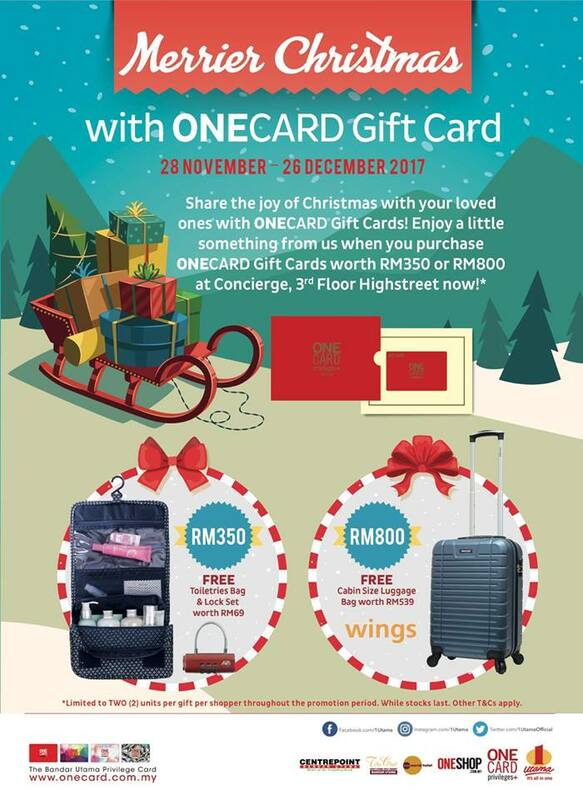 Merrier Christmas with ONECARD Gift Card Enjoy a little something from us when you purchase ONECARD gift card worth RM350 (FREE toiletries bag & travel lock) or RM 800 (FREE cabin luggage).T&C apply. 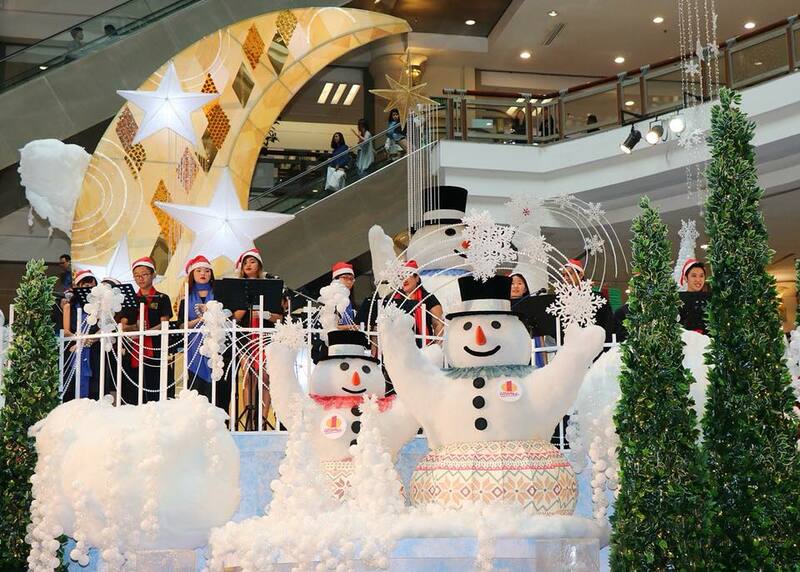 Have a blast musical performances and get busy with hands-on workshops for your little ones this holiday season! 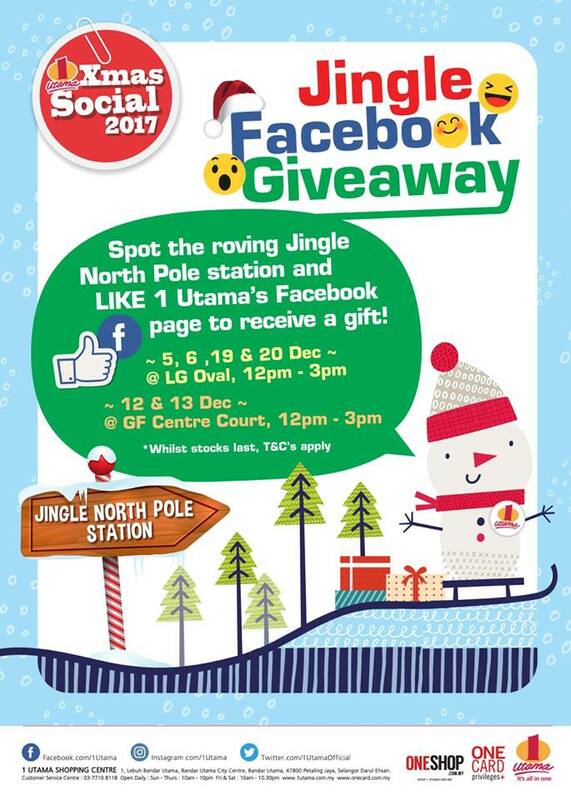 Spot the roving Jingle North Pole station and LIKE 1 Utama Shopping Centre Facebook page to receive a gift! 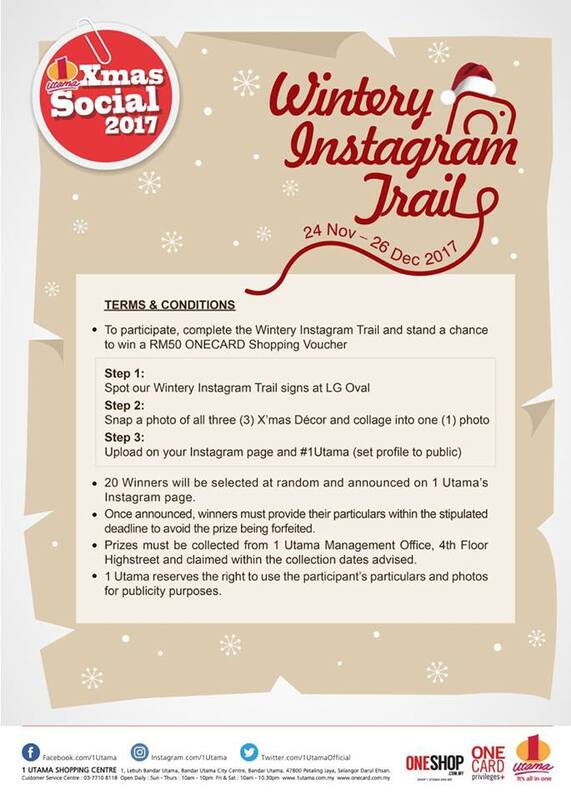 T&C apply. 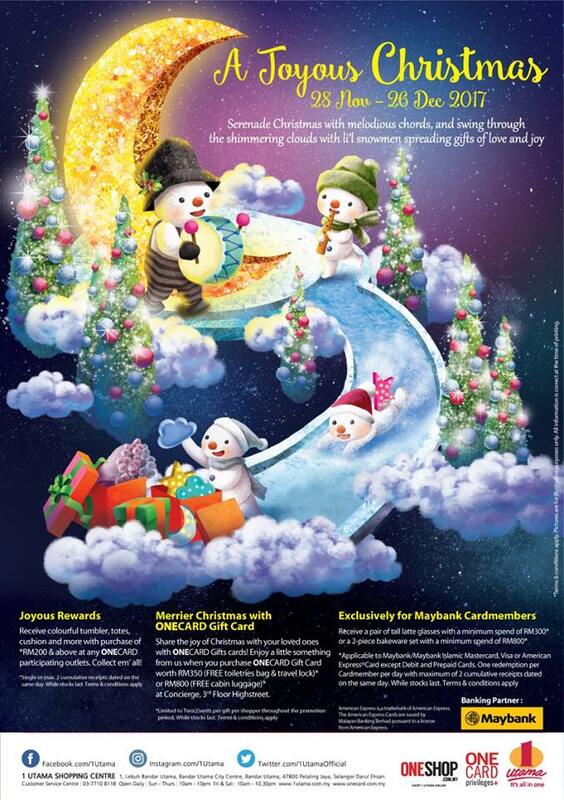 Share the joy of Christmas with your loved ones ONECARD Gift Cards! 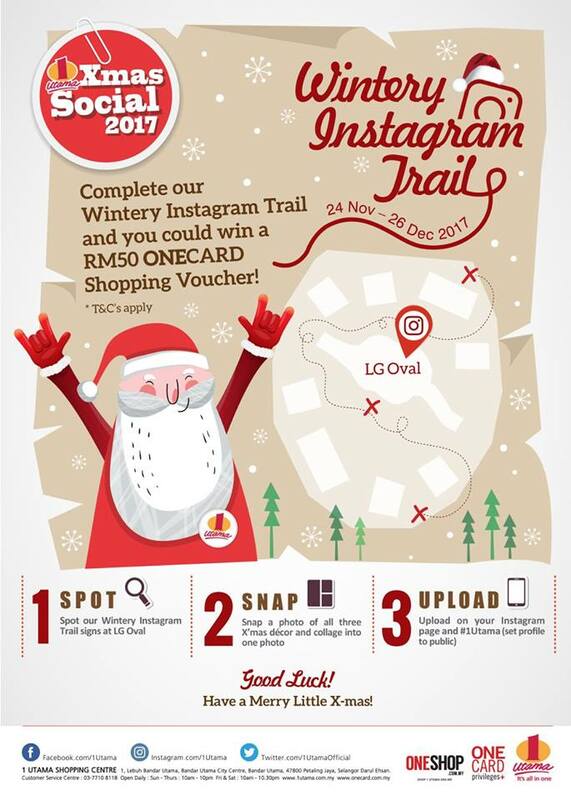 Enjoy a little something from us when you purchase ONECARD Gift Cards worth RM350 or RM800 at Concierge, 3rd Floor Highstreet now! 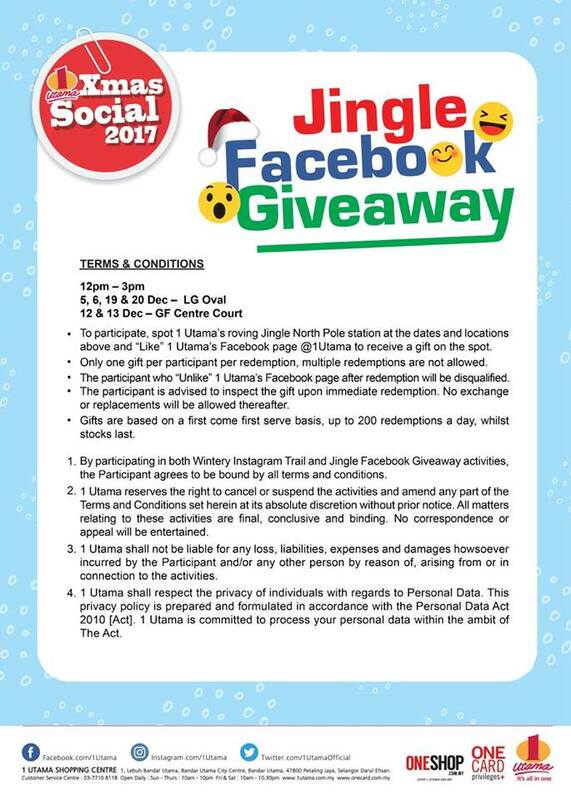 T&C apply. 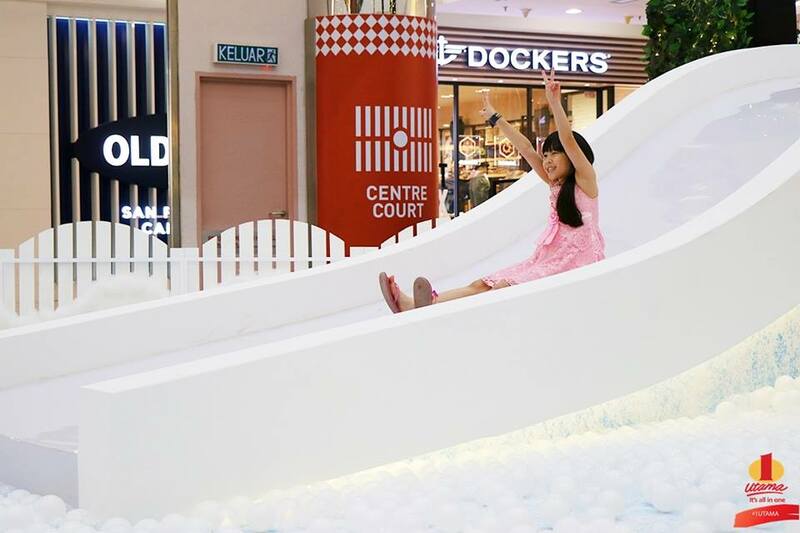 Your guide on the dos and don'ts for the giant snow slide at GF Centre Court! 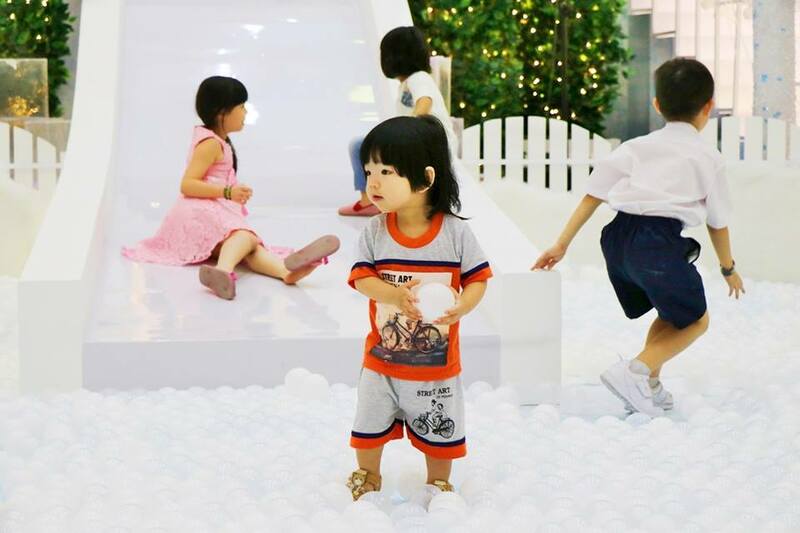 Don't miss the fun and enjoyment. 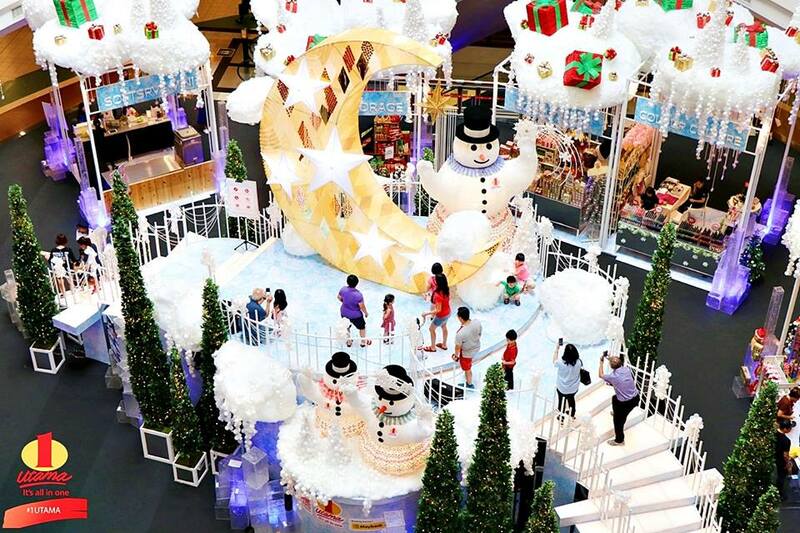 Visit 1Utama now with your friends and family until December 26. Or just visit their website about the latest launch: www.oneshop.com.my You can also buy and sent gifts to relatives and friends.